Product prices and availability are accurate as of 2019-04-21 12:59:10 UTC and are subject to change. Any price and availability information displayed on http://www.amazon.com/ at the time of purchase will apply to the purchase of this product. 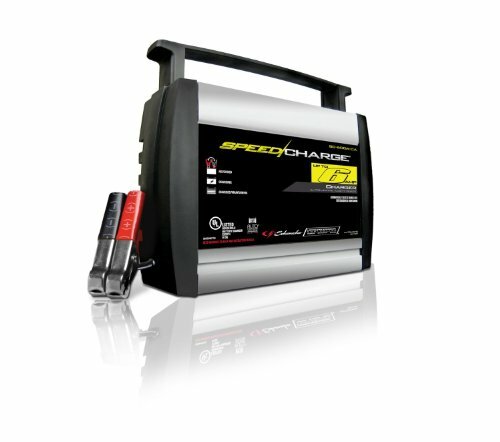 The Schumacher SC-600A-CA SpeedCharge is a fully automatic battery charger that uses advanced technology to charge up to twice as fast as conventional chargers. It automatically adjusts charging modes to efficiently charge and maintain connected batteries. The 50-amp clamps are compatible with both top and side-mounted battery posts. Its easy-to-read LED indicators show battery charge status at a glance. This unit is also energy efficient. Microprocessor-controlled to automatically adjust amperage rate. 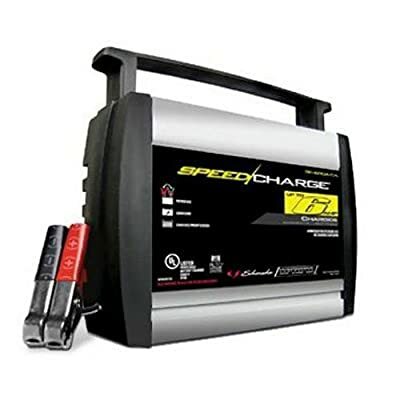 In 6-amp Fast Charge mode, the charger monitors battery condition and adjusts charge rate downward to prevent battery damage for car, small truck, motorcycle, and lawn tractor lead-acid and AGM battery types. The 3-amp Medium Charge is a self-adjusting charge rate that's ideal for everyday charging needs and for keeping your battery in peak condition. The built-in handle serves as convenient cord wrap for the 50-amp clamps and power cord, in addition to providing easy portability. 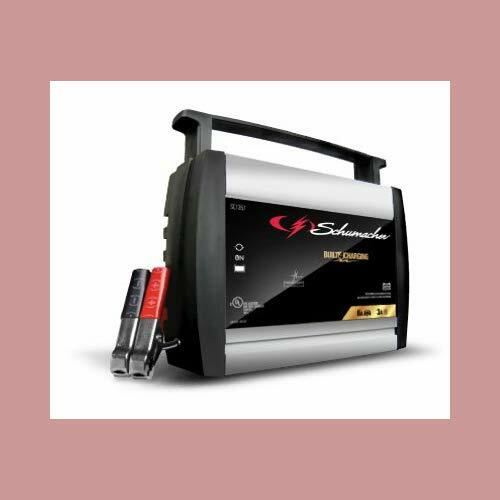 Microprocessor Controlled Technology with multi-stage charging lets the Schumacher SC-600A-CA deliver added precision, safety, and battery life. 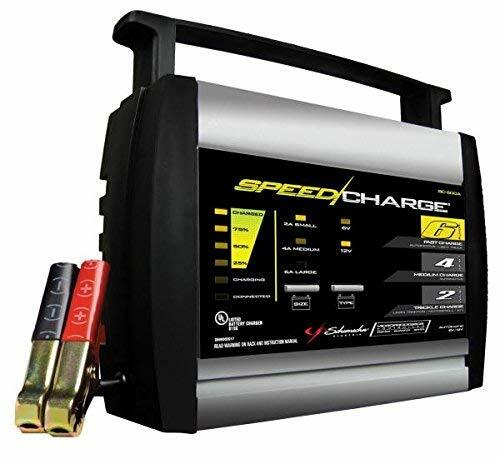 This technology lets you charge your motorcycle, car, or utility vehicle batteries up to 2x faster than using conventional chargers. The SC-600A-CA automatically switches from Continuous Charge to Float-Mode Monitoring, which allows the charger to maintain the battery when fully charged. 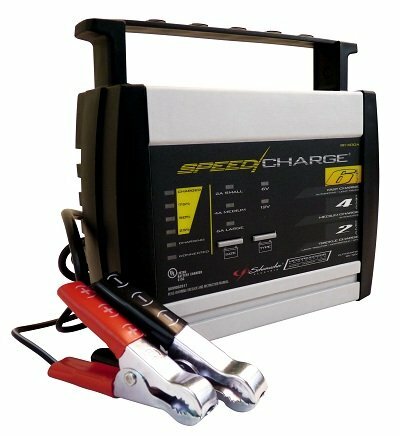 The SC-600A-CA resumes continuous charging when the battery becomes discharged. Dimensions: 6.9" x 3" x 7.5"